There’s no denying that Austin is a great place in which to live and work. With its thriving high-tech industries and dynamic cultural scene, it’s no wonder it’s one of the fastest growing cities in the nation. New homes are springing up like blades of grass after an April thunderstorm. But before you make what is likely to be the biggest purchase in your life, be sure you partner with a homebuilder that has a proven track record of excellence – Chesmar Homes. For more than a decade, we have been constructing beautiful, energy-efficient homes that have earned us accolades throughout the industry. Furthermore, our associates will provide personalized assistance during every step in the homebuying process, from selecting your home’s amenities to applying for a mortgage. We offer a wide selection of new homes in a variety of price ranges, sizes, and configurations, so you’ll be able to choose a model that perfectly suits your needs and your budget. We build in vibrant communities that are close to major highways, great schools, entertainment centers, parks, and hiking trails. We are committed to improving the lives of Austin residents and giving back to the community through numerous outreach programs and contributions to charitable organizations. We also have a number of new homes in Austin that are move-in ready. Click here and hit the “quick move-in” tab to see them all. For the best new homes on the market, the builder to turn to is Chesmar. Contact one of our associates today to learn more, or visit any of our communities throughout the area. 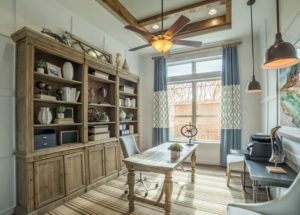 When you stroll through one of our model homes, our dedication to excellence will be apparent everywhere you look.